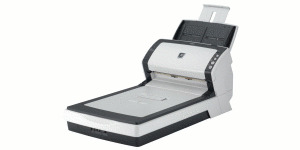 Refurbished Scanners - Refurbished and used high-speed document scanners with 30-day warranty! 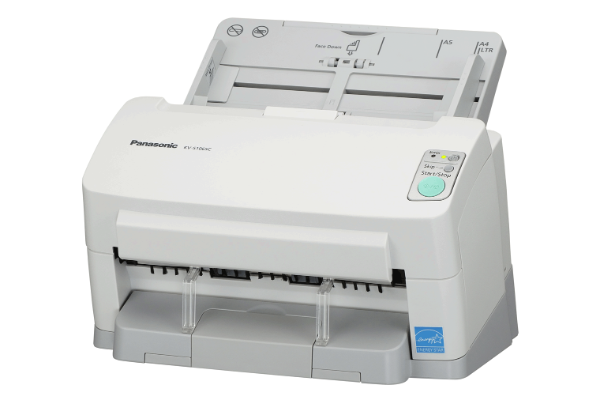 Get much more throughput for your dollar with a refurbished scanner. 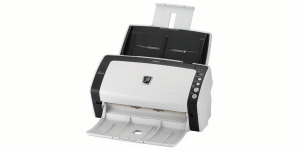 All scanners on this page come with a 30-day warranty and are eligible for manufacturer service agreements. Don't take chances with eBay--get your certified refurbished scanner from ScanStore! 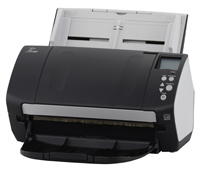 Refurbished KV-S1026C 30ppm Color Duplex 8.5x100"
Refurbished fi-6130Z 40ppm Color Duplex 8.5x122"
With duplex scanning speeds of up to 80 images per minute in Color, Grayscale, and Black & White, the fi-6130 also delivers uncompromised high-resolution performance of up to 60 images per minute at an astounding 300 dpi resolution for high accuracy OCR and bar code recognition. Combined with one of the most advanced paper separation features in its class, the fi-6130 employs reversing roller technology and a host of intelligent functions to provide exceptional feeding reliability for a wide variety of document types. Refurbished fi-6230 40ppm Color Duplex 8.5x122"
With duplex scanning speeds of up to 80 images per minute in Color, Grayscale, and Black & White, the fi-6230Z also delivers uncompromised high-resolution performance of up to 60 images per minute at an astounding 300 dpi resolution for high accuracy OCR and bar code recognition. Combined with one of the most advanced paper separation features in its class, the fi-6230 employs reversing roller technology and a host of intelligent functions to provide exceptional feeding reliability for a wide variety of document types. Refurbished KV-S1065C 60ppm Color Duplex 8.5x100"
Refurbished Ngenuity 9150DC 120ppm Color Duplex 12x40"
*As of February 1, 2010 Bell & Howell is now owned by Kodak. All the Bell & Howell scanners and parts will become integrated into the Kodak name with a Kodak part number. Refurbished fi-6670 70ppm Color Duplex 11x120"
Refurbished fi-6670A 70ppm Duplex Color 11x120"
Refurbished fi-7160 60ppm Color Duplex 8.5x220"
Refurbished i2800 70ppm Color Duplex 8.5x160"
ScanStore's Refurbished Scanners undergo a thorough cleaning, maintenance and testing routine before they are listed here. All scanners are backed by a 30 day warranty. The complete testing and maintenance checklist is below. Please Note: Refurbished scanners do not include software bundles like Kofax Virtual ReScan or Adobe Acrobat that may be included with new units.